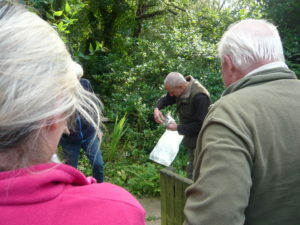 We all went down to Saltburn Valley Gardens today to see what we could find. 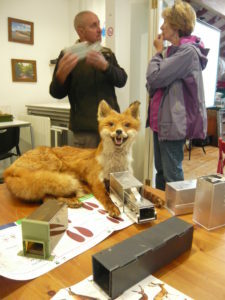 This one day workshop focussed on how to discover which mammals are living locally. 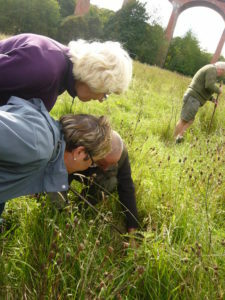 Using a mixture of illustrated talks and practical sessions, participants learnt about local mammals, how to survey for smaller mammals using longworth traps, and the different tracks and signs left by larger mammals. In the morning traps were recovered that had been set out the previous night. 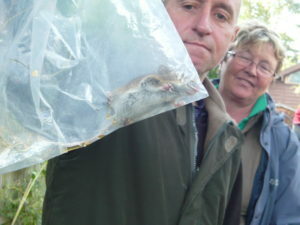 With some delight we all got a close up view of wood mice and learnt how to handle small mammals and release them from the traps. Everyone then set a trap of their own and thought like a mouse when placing it away from view. The afternoon was spent looking for field signs of mammals. One team walked through the woods and discovered chewed nuts (squirrels), possible burrows (moles) and tracks (dogs). 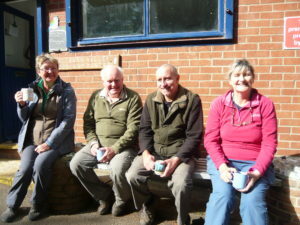 A group accompanied Kenny in a walk up Skelton Beck and were rewarded with the discovery of otter and fox tracks as well as some impressive looking heron footprints. 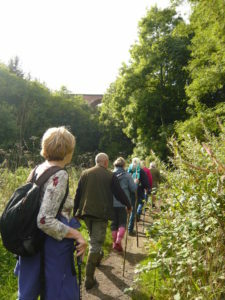 The two groups met at the Viaduct and were shown how to look for field vole runs and nests. Back at the Woodland Centre people retrieved their survey traps and we were treated with some close up views of the shy little field vole. 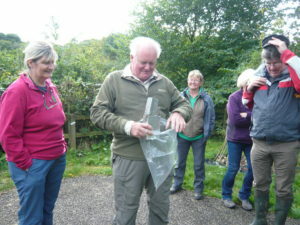 Bouyed by our obvious success participants loaned traps from the Trust to try their luck at home and to generate new records for East Cleveland. Thanks to Jacky Watson for all the photographs.